If you’ve spent any time teaching, then you know there are countless ways to approach a subject. And no one (or two, or five) way(s) to teach a student. You probably also have a few of your own favorite methods, and a variety of ways in which you’ve “reached” your students. As you continue to teach, your style as a teacher will start to emerge. And while some elements of your teaching style will likely stick with you through your teaching career, the countless assessments, workshops, and moments of private development will at times prompt changes in your teaching style. But how should one know the right ways to change how you teach? Well, this depends on your views about how students learn. Luckily you can build “on the backs of giants” here, as there have been many (no doubt you know) brilliant thinkers in educational psychology, child development, and pedagogy. We’ve outlined a few of our favorites below. novelty and curiosity- an exploratory stage that happens from 12 months to 18 months old. Symbolic FunctionFrom ages 2-4 children use symbols to help identify and make sense of the world around them. An example of this is the common drawing of the family members as big as a house. Intuitive ThoughtFrom ages 4-7 children begin asking a number of questions. Children begin to reason and therefore want to know more. Conversations begin to form. The Concrete Operational Stage takes place from ages 7-11. Children can now take on the perspectives of others, and are much more aware of logic, will converse with other about novel topics, and begin to problem solve. The Formal Operational Stage takes place from ages 11-16. We think this could also be called the “Little Plato” stage as children and teens begin to understand abstract thought, and metacognition (AKA “thinking about thinking; knowing about knowing”). Children and teens can problem solve across multiple steps. The formal operational stages carries on beyond ages 16. Piaget had an enormous impact on artificial intelligence, but how? Well, Seymour Papert is one link. Papert was a renowned computer scientist and mathematician who used Piaget’s stages when developing language programming. Remember that mouthing baby that then learned to babble, talk, and then have conversation? Language programming too makes those leaps thanks to Papert’s translation of Piaget into the Logo programming language. Students were encouraged in a sense to follow the turtle’s developmental stages and try to predict what it will do next. Not sure what we’re talking about? It’s okay! Logo was designed in 1967 and thus is only really an infant stage of language programming. Well, we had to start somewhere, and many theorize that where we started was actually with Piaget. The ninth proposed intelligence is Existential-Moral. We wonder if intuition should be included for an even 10. Let’s digress, and take a closer look at the essential 8 components from Gardner’s original theory. Musical-Rhythmic and Harmonic Intelligence is described as a type of intelligence that is highly musical with sensitivity to sound, and rhythm. This individual may have relative or perfect pitch, easily create melody, can sing, play multiple instruments, and has a sensitivity to timbre or how something sounds. You may hear someone say “She just has a natural ear!” They are referring to musical-rhythmic and harmonic intelligence. The person with Visual-Spatial intelligence is that person who can see for example a geometric shape and then, turn it, flip it, spin it and more all within their mind’s eye. Have you ever seen There is an entire branch of psychology known as “Spatial Intelligence Psychology” that discusses this type of intelligence in depth. Those with high levels of Verbal-Linguistic intelligence will be great with words, phenomenal story-tellers, and great readers and writers. Logical-Mathematical Intelligence involves problem solving through reason. Those with high levels of this type of intelligence may be epistemologists, or mathematicians. A Vulcan is said to have high levels of logical-mathematical intelligence. Well, it is only logical, after all. The persons with high levels of Interpersonal Intelligence can readily empathize with others’ emotions and motivations. A good teacher often has high levels of interpersonal intelligence and can empathize with what a student may experience. It’s a high-level of perspective taking and understanding. Do you remember that teacher that seemed to be able to read your mind? She most-likely was using her interpersonal intelligence. γνῶθι σεαυτόν or “know thyself” is a Greek phrase that captures intrapersonal intelligence. The type of person who really knows about themselves probably seems like a sage. This person know all about their inner states, as well as their carnal needs. In Ancient Egypt those entered the external temple only when ready to learn more and acquire insights. Have you ever seen a person who just seems to know when to speed up, slow down, and “just be?” That person most likely has honed their intrapersonal intelligence. It may come as no surprise the study of self was a core topic for the ancient Greek philosophers. Gardner added Naturalistic Intelligence a decade later in the 1990s. As is implied, a personal with high levels of naturalistic intelligence is “tuned in” with nature. Once burnt at the stake, the “witches” of ancient Europe are perfect examples of women with high levels of natural intelligence. These women were botanists in their own right, and could more than just identify plants but also could wield them for healing. Many herbalists living today talk about walking among the plants and listening to them talk before picking them and using them in home remedies- always thanking the plants for their help in the process. When Gardner created his theory of multiple intelligences, he was heavily motivated by children and other learners with exceptionalities. Who is to say that someone with autism is not intelligent? Well, once upon a time, this was the case. While we can’t possibly list everyone who has been influenced by his theory, we can say that there are educators who strongly emphasize the importance of differentiating their lesson plans to meet the needs of all types of minds. Carol Ann Tomlinson is among the top authors on differentiation in the classroom. She writes extensively about practical ways to remain relevant in the classroom by teaching to students with diverse abilities and cultural backgrounds. Recognition Networks which are how we gather information, and place that information into categories like numbers, letters, words etc. Strategic Networks are how we plan and then perform our tasks whether through written expression or problem solving. Sonny Magana is the author of Disruptive Classroom Technologies and designer of a tertiary framework for disruptive learning in today’s classroom. Teachers are encouraged to rethink the way technology is used- and he goes far beyond the “digital worksheet.” Magana calls for transformational and transcendent education through the use of technology. What is a transcendent use of technology? Magana argues it’s when students engage with what motivates them (sound familiar? : the affective networks) and use technology to help solve the world’s complex problems. Carol Dweck is best known for her research and contributions to Implicit Theories of Intelligence and Mindset. If we were to select just one word that is the essence of her work we would pick change. Dweck argues that as learners and creators, we are more malleable that we may give ourselves credit. Even trees that are rooted deep in the earth grow, talk to each other, and continue to change. Though as years pass and we look at that same tree do we see its growth or do we see it as a fixed entity planted firmly to the earth? Dweck encourages us to see the growth no matter what the age. She encourages her audience to believe in change, and to love the process. Incremental theory deals with a growth mindset- our belief that we can achieve our own greatness through hard work and perseverance. As opposed to a fixed mindset where students essentially plateau and withdraw from change. Change can expose weakness, change can mean making mistakes. Change can take time, and change doesn’t always happen quickly. Students who engage with a fixed mindset are often afraid to fail, and what happens when they stagnate? Well, if we are using that tree analogy- a tree that isn’t growing and changing is dead. Students who remain in a fixed mindset essentially kill off or stop the learning process. That’s pretty heavy, right? Well, the second word we would pick when describing Dweck’s body of work is hope. Dweck’s findings rekindle a sense of “YES I CAN!” We like that. We like to think that our state of mind is not permanent and that, when up to a challenge, we too can achieve our biggest dreams. 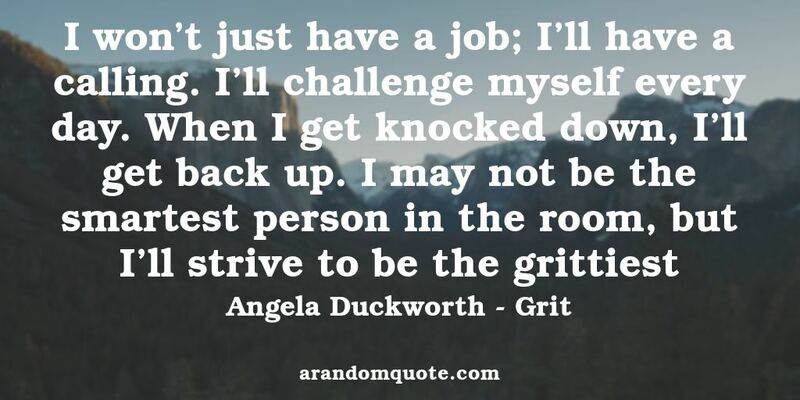 Though in many ways a colleague with Dweck, Angela Duckworth rather than standing on Dweck’s shoulder’s is certainly walking arm-in-arm with Dweck. Duckworth, perhaps best known for her book Grit: The Power of Passion and Perseverance is a MacArthur Genius Fellow who writes about the effects of grit on the brain. What is grit? Grit is a psychological trait that is responsible for getting us to the finish line. Grit encompasses motivation, perseverance, and passion that move us towards longer-term goals. How do celebrities like Oprah Winfrey who come from so little with so much riding against them become successful? The short answer is: a ton of grit! So what ties all of these great educational thinkers together? We think passion for positive change! When examining the works of Piaget, Gardner, Rose, and Dweck, we found a common thread: Everywhere someone put up a barrier, these great educators smashed them down. Maybe that’s what education is- a tool that knocks down the dense wall of doubt and negativity and let’s the light shine through.